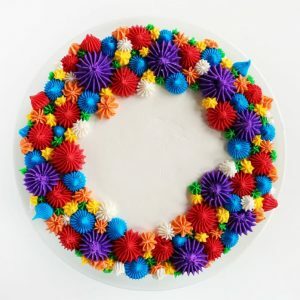 This showstopping cake could not be easier! 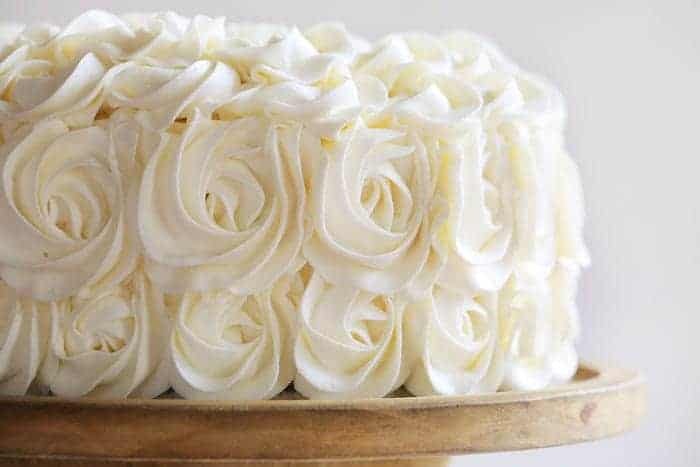 Brownie layers perfectly compliment white cake and then are topped with a beautiful buttercream rosette. 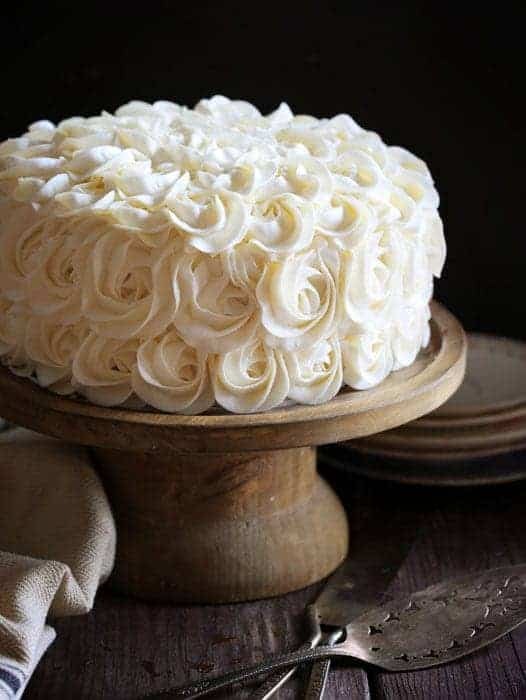 Cake perfection! Don’t miss my classic American Buttercream Frosting! I am sharing the semi-homemade version of the recipe here. That is one box of white cake and one box of brownie mix. 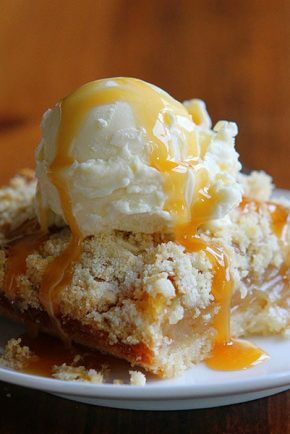 You can most definitely make this from scratch! 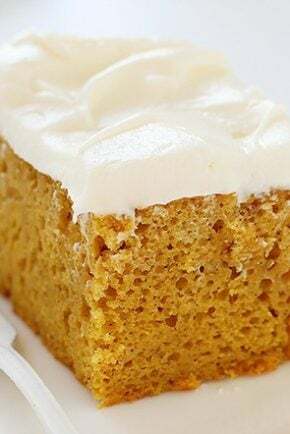 You can use my White Cake Recipe and my favorite From-Scratch Brownie Recipe. Prepare brownie batter. Divide batter between two prepared (the right way!) 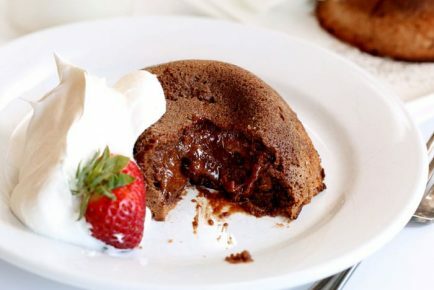 8-inch round cake pans. Bake at 350 degrees for 10 minutes, or until the brownie batter is set and starting to crust slightly. While brownie is baking, prepare white cake according to box or recipe directions. After 10 minutes in the oven, carefully remove brownies. Equally divide the white cake batter between the two brownie pans and return to the oven to bake for 16-22 minutes. When cake is done it will dome in the center slightly, will have pulled away from the edges of the pan, and will have nicely browned on the sides and top. In the Decorator’s Buttercream recipe, there is fresh lemon juice. 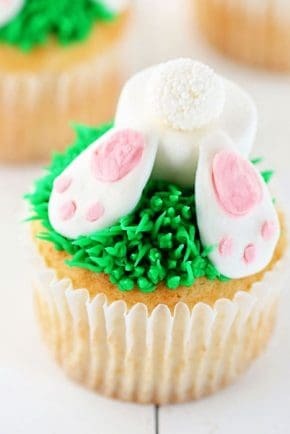 In my opinion, this does NOT give the buttercream a “lemony” flavor, but simply helps to enhance the sweetness. You are welcome to simply use vanilla extract but try it with the fresh lemon at least once. 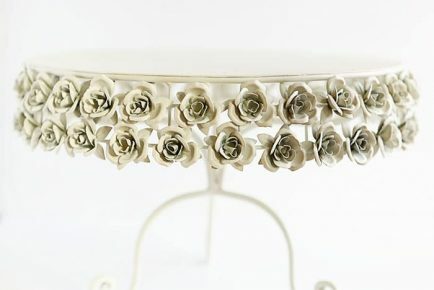 I have full tutorials on how to make a Rose Cake here and here. 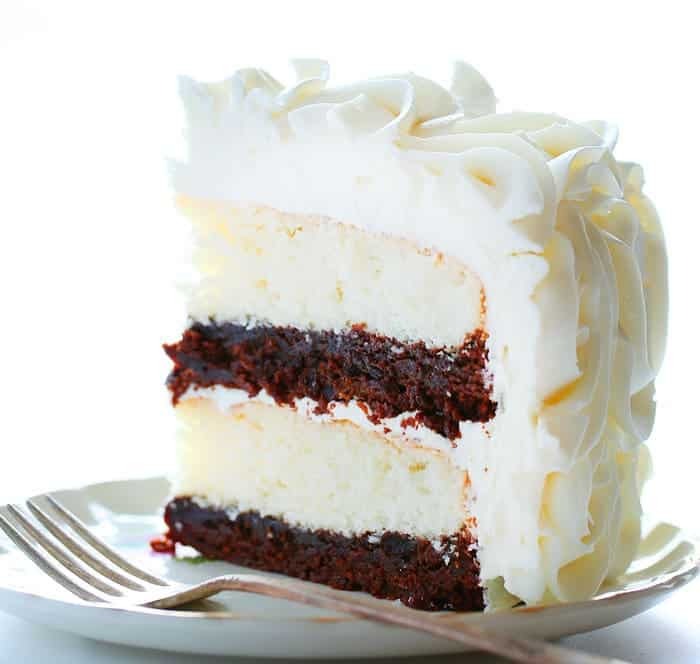 The juxtaposition of a light white cake with a thick, dense fudgy brownie layer is not new! I have this cake in my book Surprise-Inside Cakes, and called the Vintage Cake. The recipe was handed down from my grandma and a family favorite! 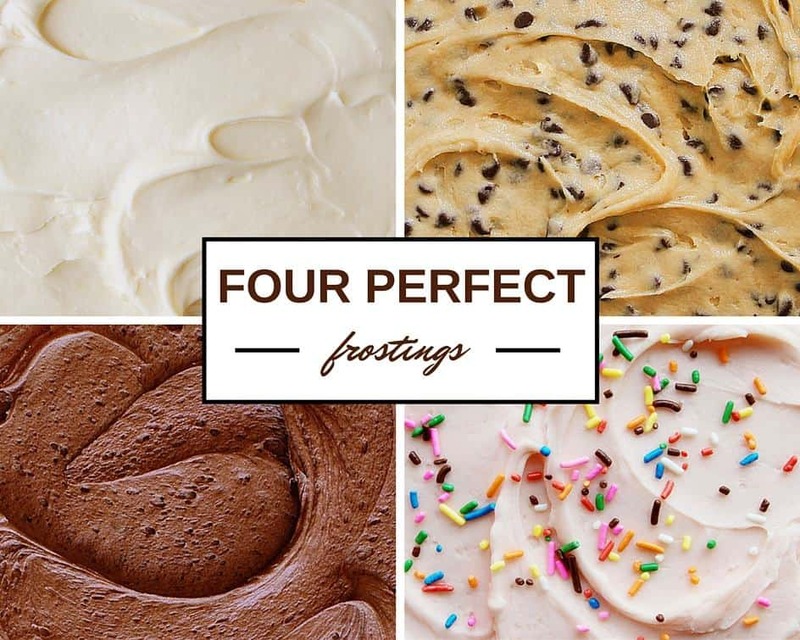 Four Amazing Frostings You Don’t Want to Miss! 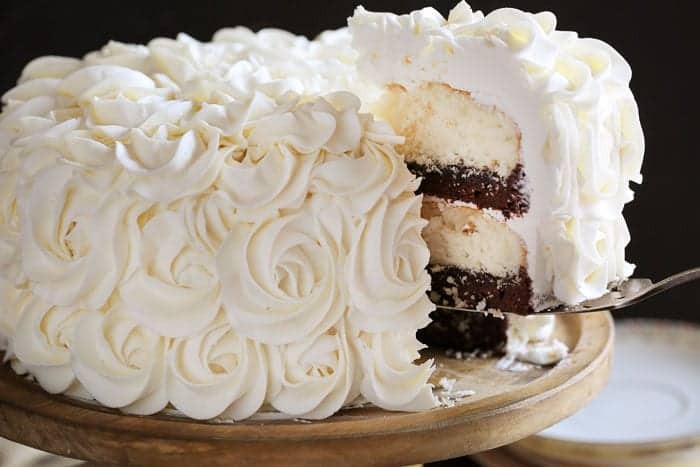 Hello, I always follow your recipe and I love them all, but this recipe I don’t really understand the baking part for the brownies and the white cake ? I’m very confused I went over so many times but I couldn’t get it! Call me stupid but please explain to me how?